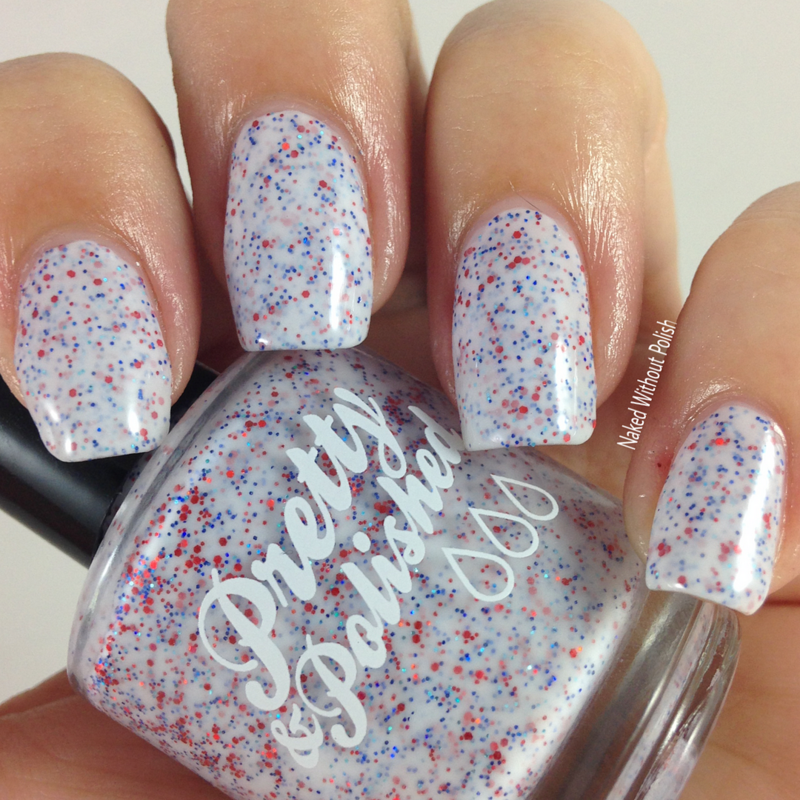 I've got the gorgeous July Beauty Box from Pretty & Polished to show you all today. The Beauty Box is new to me, I will tell you more about those details at the end of the post, so I wasn't really sure what to expect when I received it. 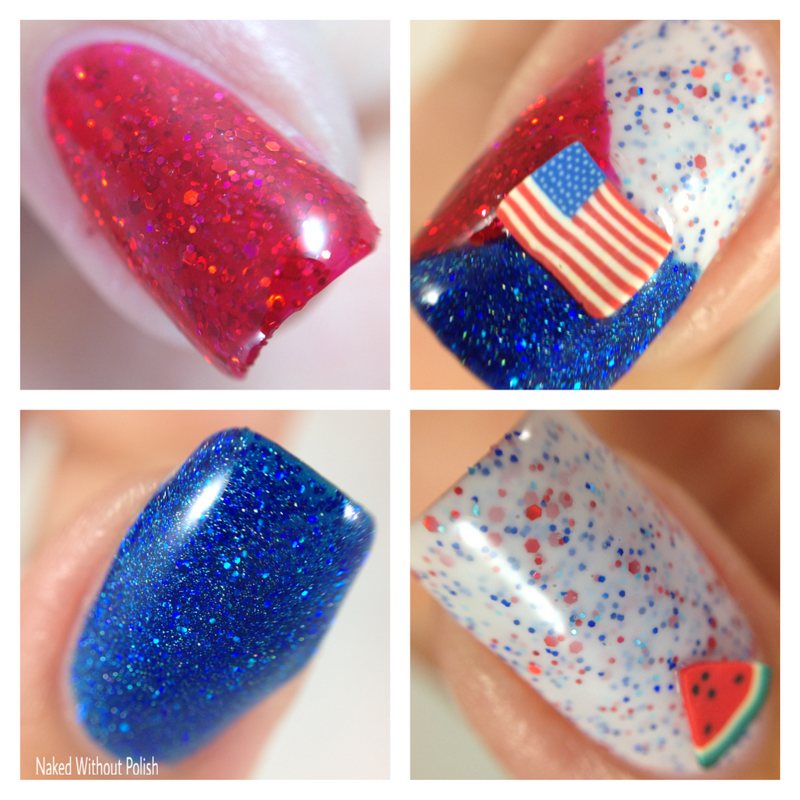 I opened the box to see three full sized polishes, a small mani melt, and some fun flags and watermelon slice fimo slices. Anxiety immediately set in as I'm not one who does nail art, but once I got through the swatching I had a clear vision of the simple nail art I wanted to try. You guys!!! I nail arted!! I really did! It's not perfect, because I free handed, but I did it!! Those of you who know me know that it is a pretty big deal. haha Well, keep reading to see more details! The mani melt in this box is watermelon scented. You can smell it through the baggie, but it isn't strong when you use it. It is a wonderful, summery scent. 1. 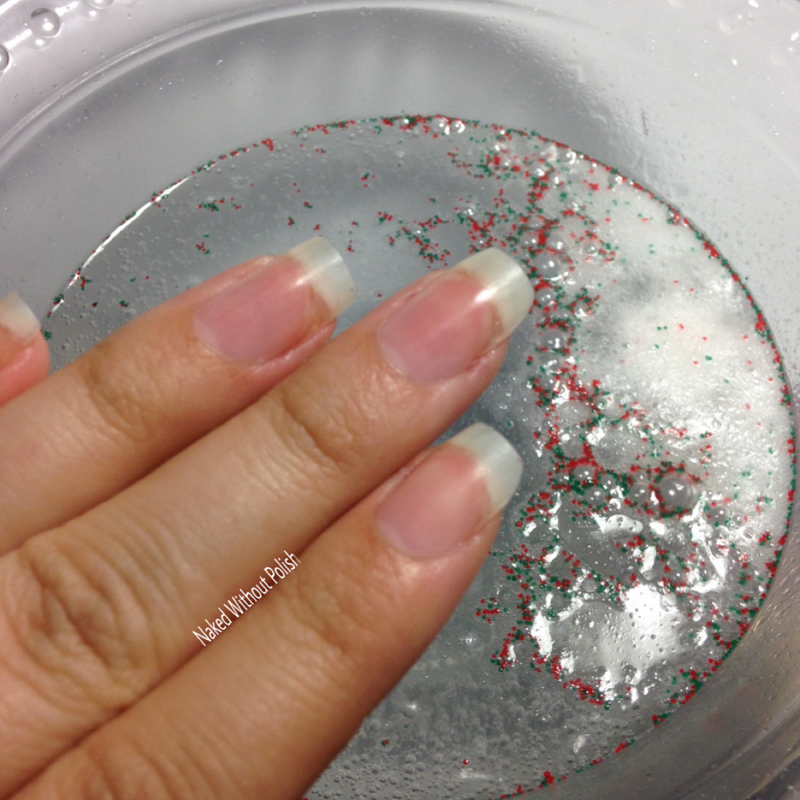 I dropped the mani melt in a bowl with warm water. 3. I soaked my hand for 5 minutes. 4. Gently dabbed dry when done. 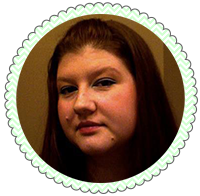 Shown here before applying any oils/balms or lotions/creams. I thoroughly enjoyed the mani melt. 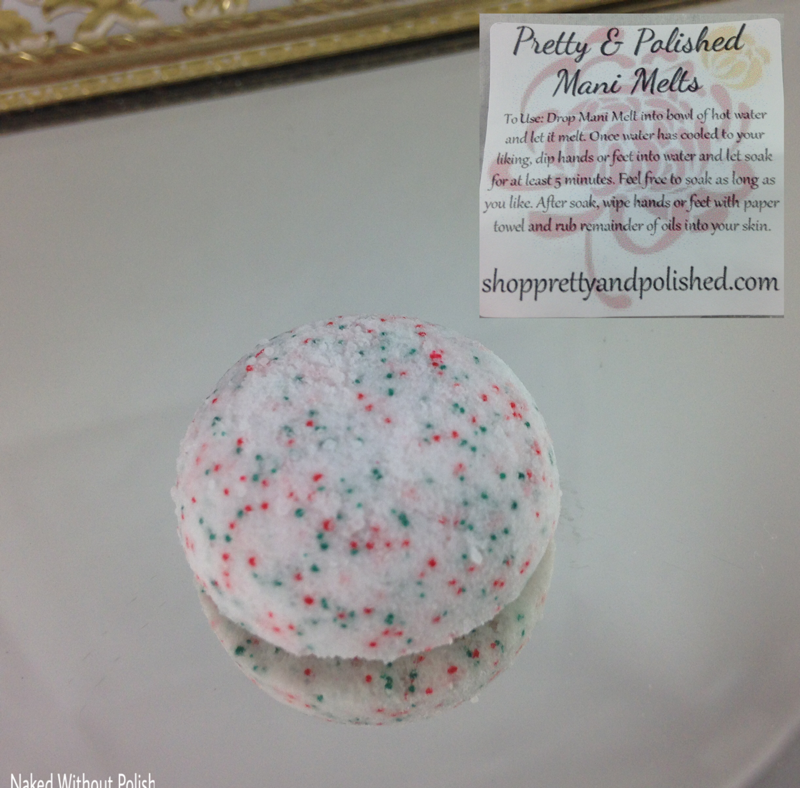 This was the first I had tried from Pretty & Polished and I loved it. It may be a tiny little thing, but it packs a punch. 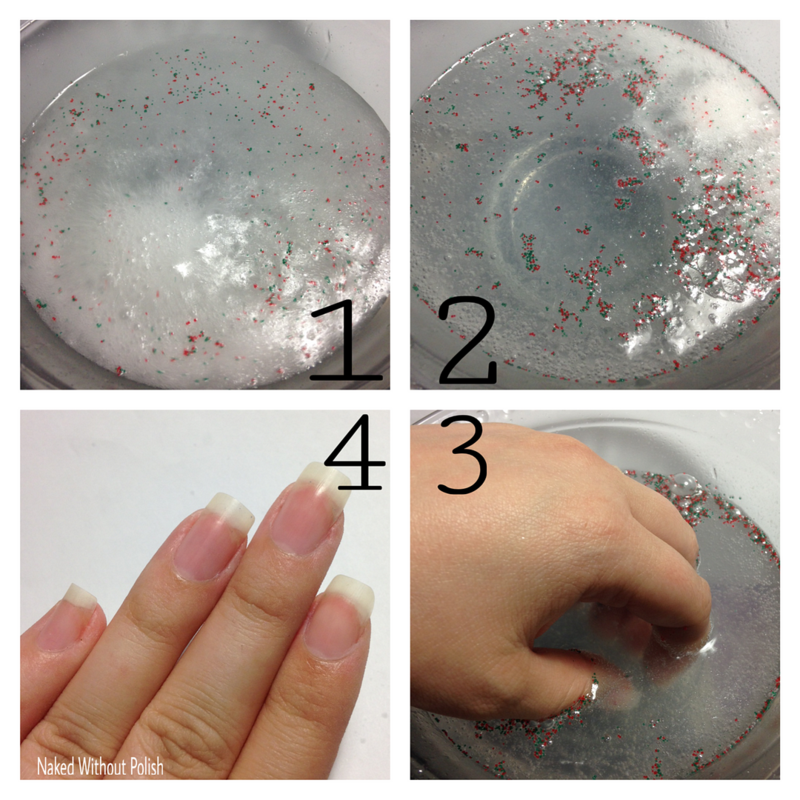 My hand felt great after using it, and I loved the watermelon scent while soaking. 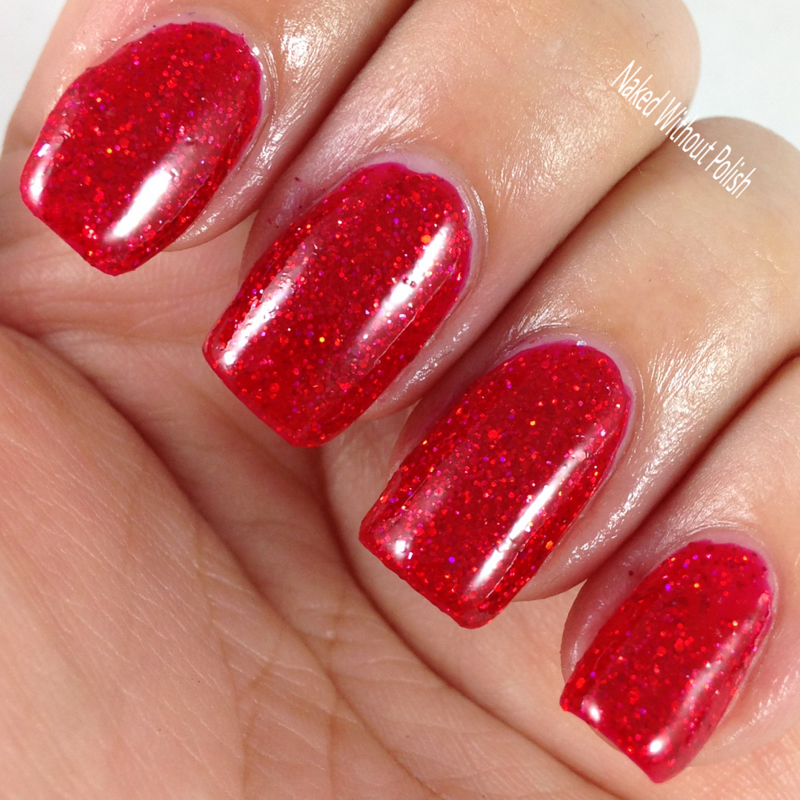 Righteous Ruby is described as "a squishy, red jelly filled with metallic and holo red micro glitter, and a small amount of holo magenta micro glitter". Shown is three coats of Righteous Ruby with top coat. 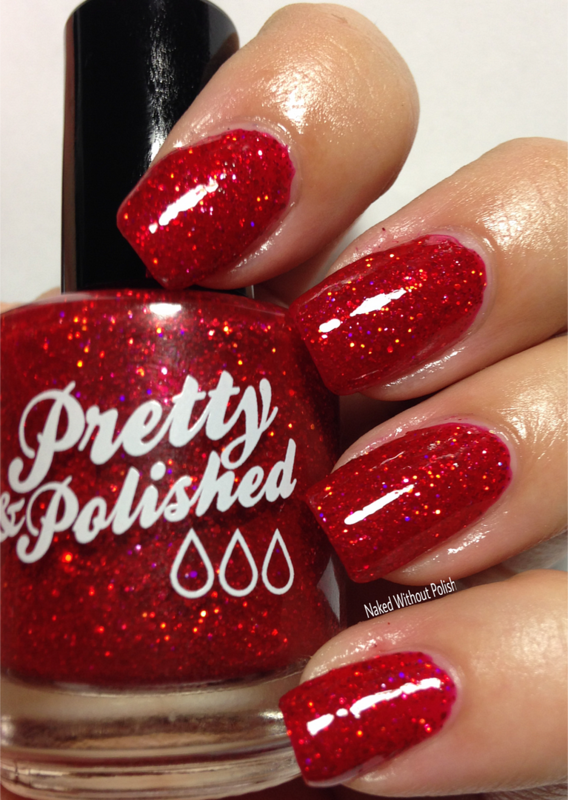 Righteous Ruby had a beautiful formula and application. 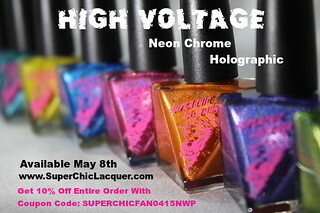 I had zero issues with it, other than I had to take it off to swatch other polishes. I rarely get infatuated with reds, but this one is one I already feel me gravitating towards again! 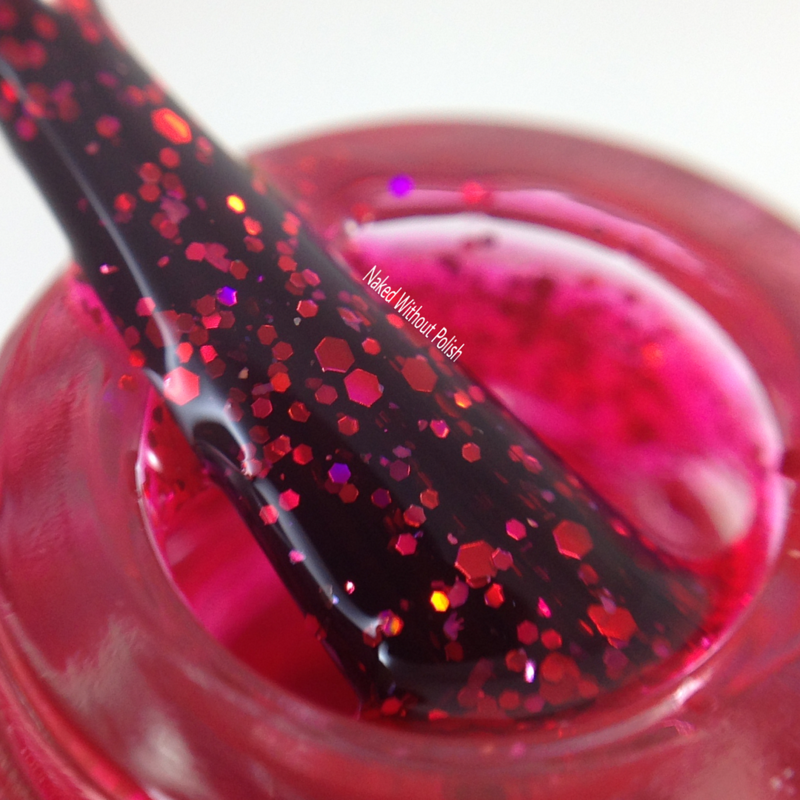 The addition of the magenta glitters gave this polish the perfect something extra. 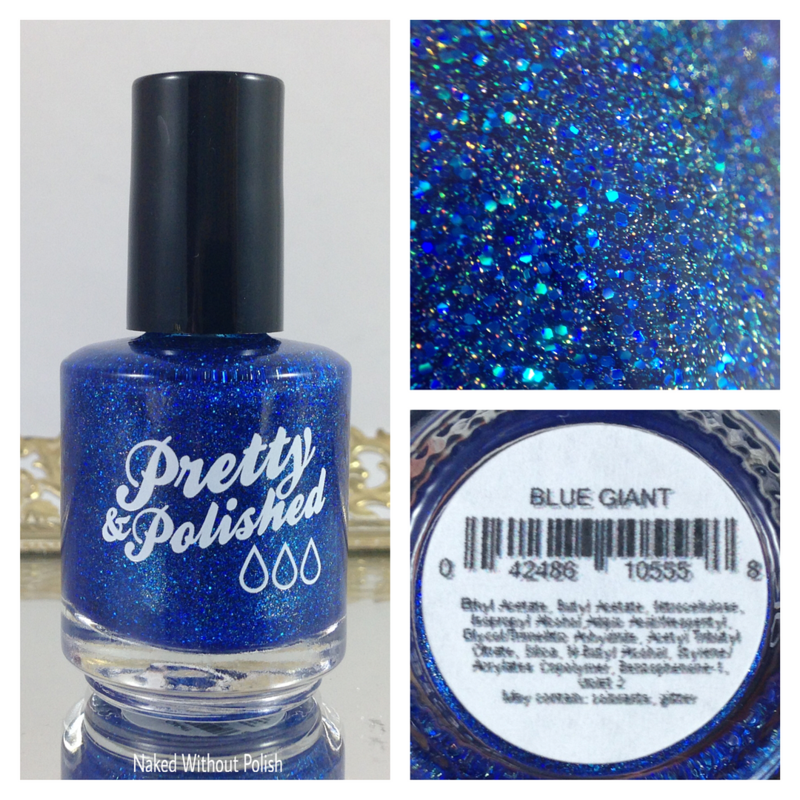 Blue Giant is described as "a sapphire blue jelly filled with holographic sparkle, metallic and holo blue micro glitter, and a small amount of holo turquoise micro glitter". 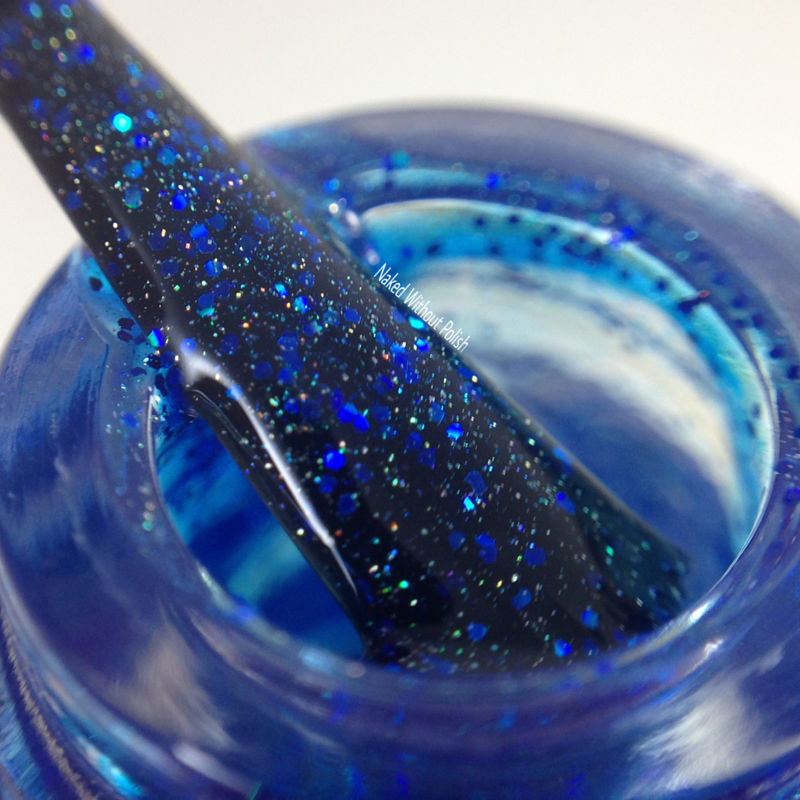 Shown is three coats of Blue Giant with top coat. Blue Giant is beyond beautiful. 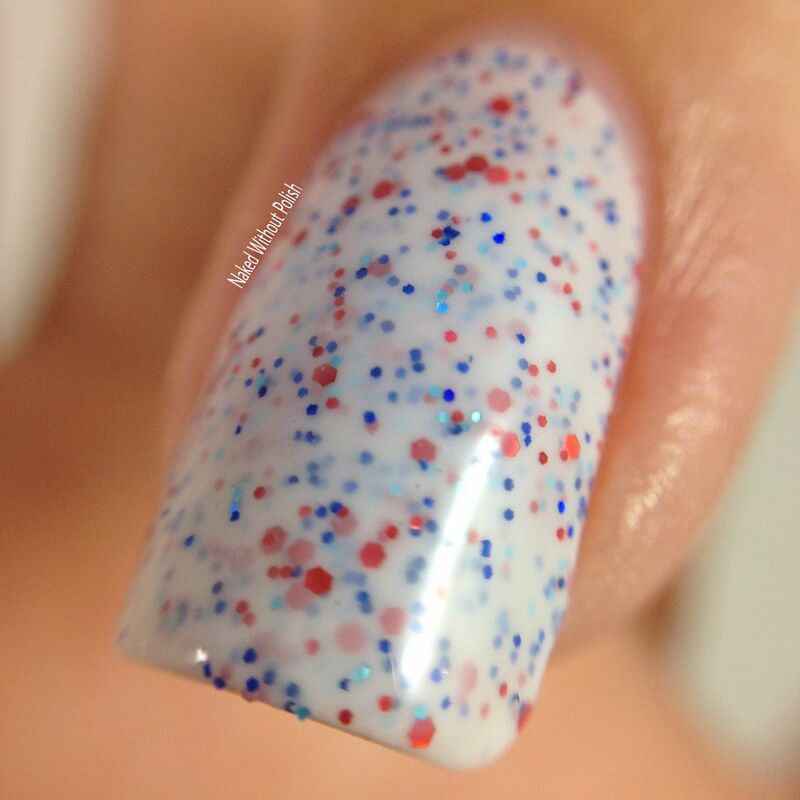 It could have easily been done at two coats, but I wanted to get it completely to full opacity. There is also zero complains from me about the extra sparkle I got with that third coat. Smooth, buttery application from this glorious formula. 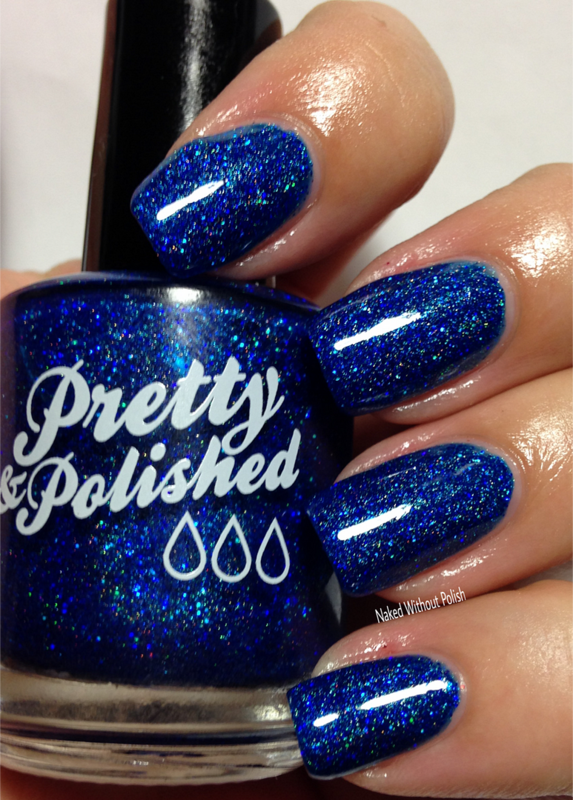 This polish is going to make a lot of blue lovers very happy! 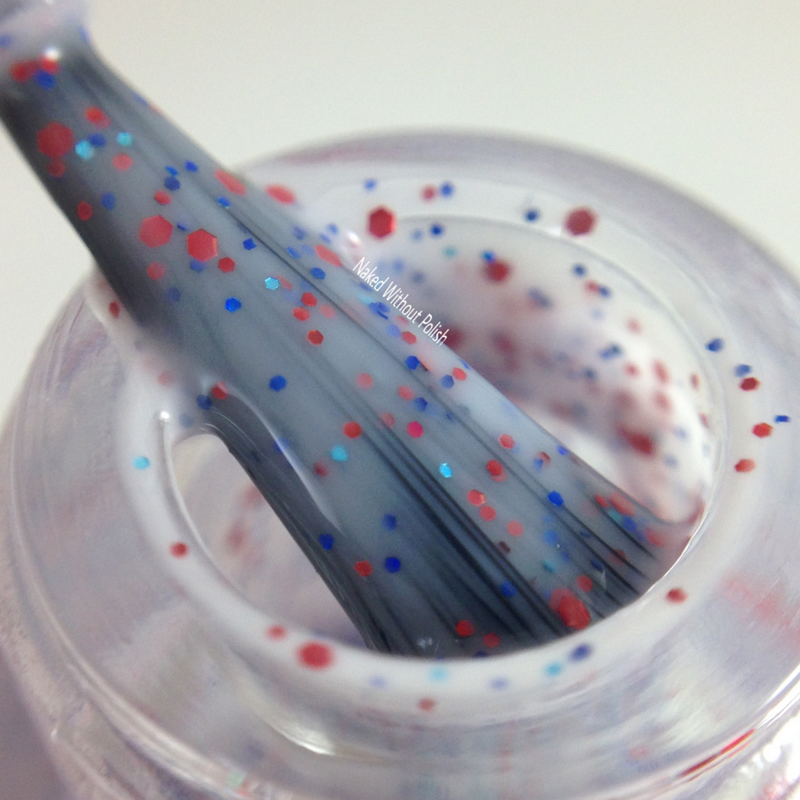 Star Spangled is described as "a milky white crelly filled with metallic and holo cobalt blue and red micro glitter, and small metallic red hexes". 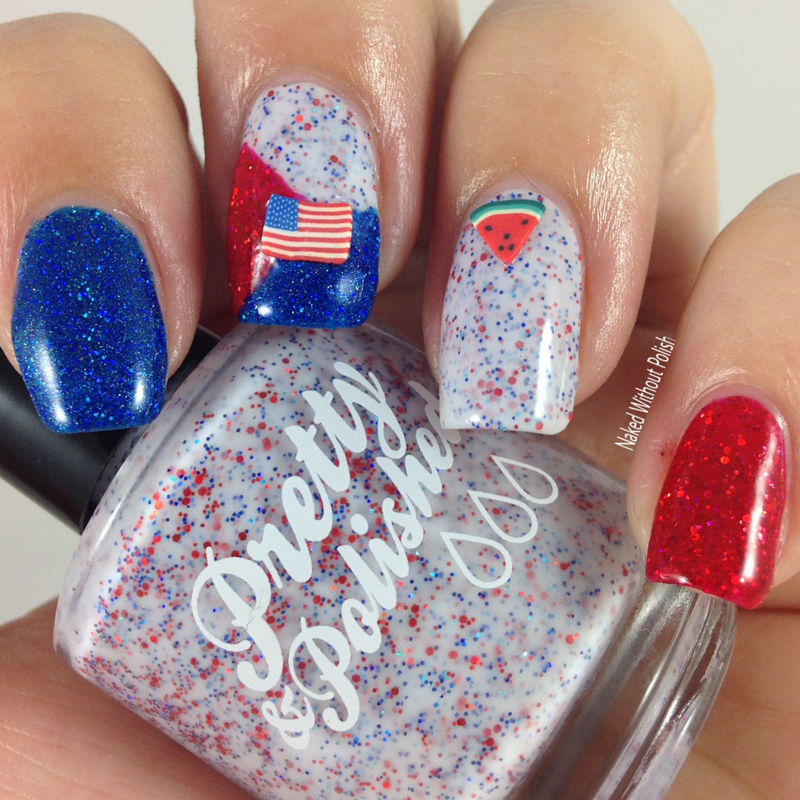 Shown is three coats of Star Spangled with top coat. 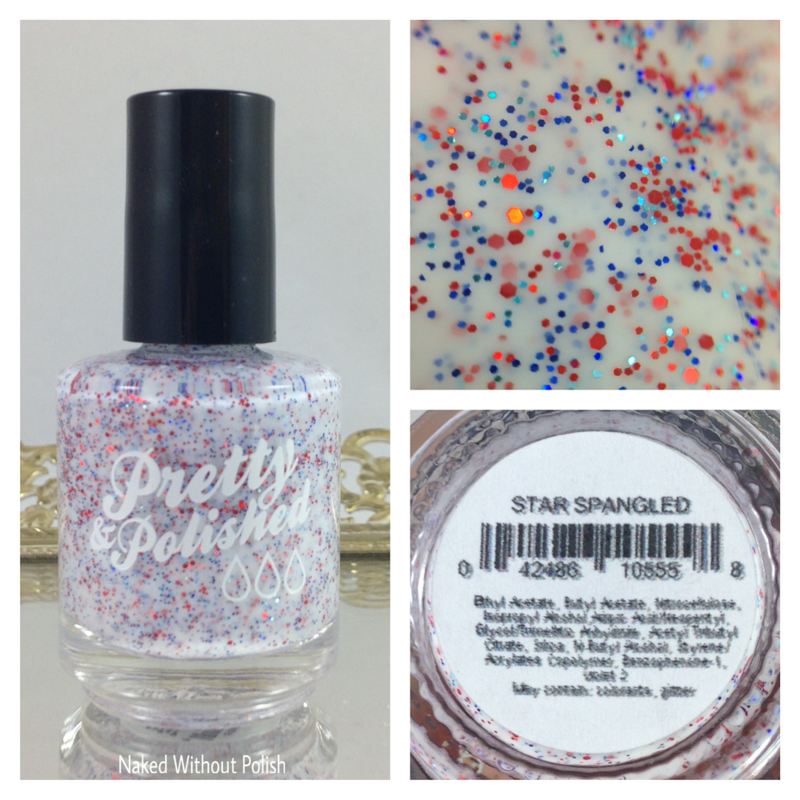 Star Spangled is another that could easily be a two coater even though I did three coats. It is packed with glitter, even I was a bit worried about the application. But there weren't any issues. In fact, I was quite impressed with the dry time on this one. I started with three coats of Blue Giant on my pointer finger, three coats of Star Spangled on my middle and ring fingers, and 3 coats of Righteous Ruby on my pinky finger. Next, I painted across the tip of my middle finger diagonally with Blue Giant (once dry I added a second coat), then I painted across the other side of my middle finger with Righteous Ruby (once dry I added a second coat), then I topped it off with a glossy top coat. Before the top coat dried I placed a flag fimo over where all the colors intersected. I topped my other three fingers with a glossy top coat. 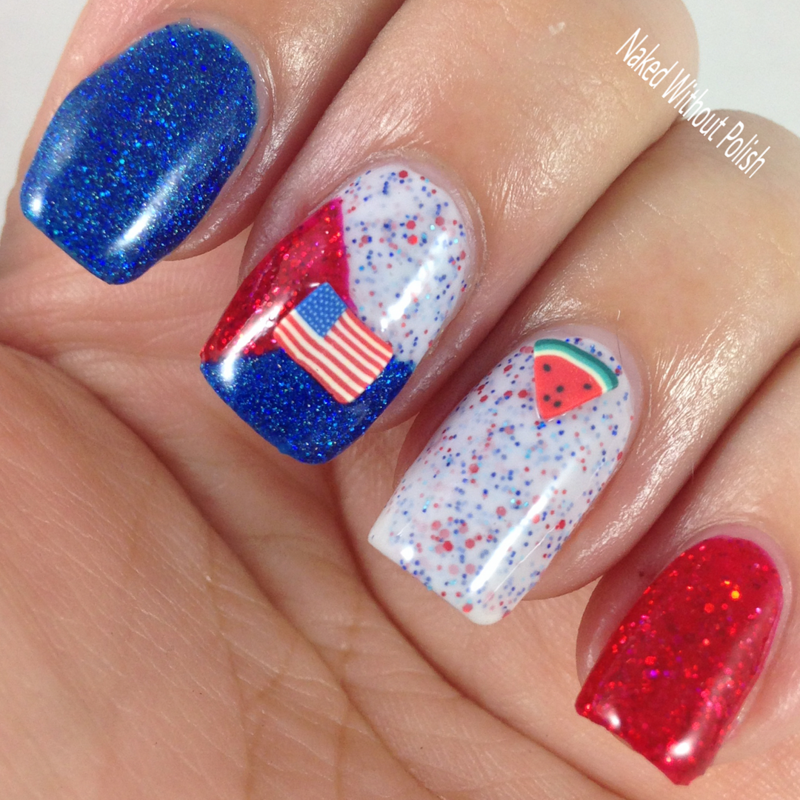 Before it could dry on my ring finger, I placed a watermelon slice fimo at the base of my nail. What do think? Did I do ok? I know it's simple...stop judging me!!! 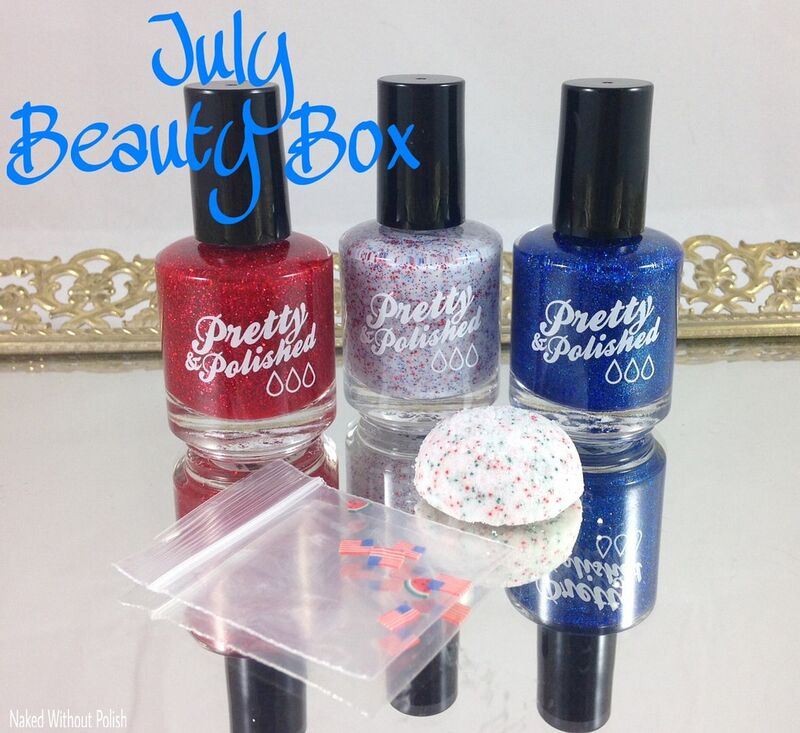 Pretty & Polished will have the July Beauty Box available for the entire month of June for $22 ($30 internationally). For those of you who don't already know, the Beauty Box is actually a subscription box. You do have the ability to buy one box, but you can also buy a 3 month subscription for $66 ($90 internationally), a 6 month subscription for $132 $116 ($180 $150 internationally), or a 12 month subscription for $264 $220 ($360 $300 internationally). You can find more information HERE. I think it's a great idea! Remember, you only have until June 30th to get this specific Beauty Box. Make sure you are following Pretty & Polished on all of her social media platforms (links below) to stay updated on news, releases, and sales. What do you all think of this box? 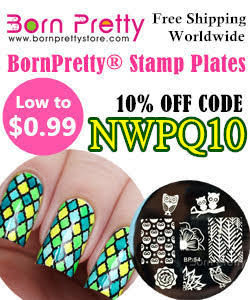 Is this one you are interested in?